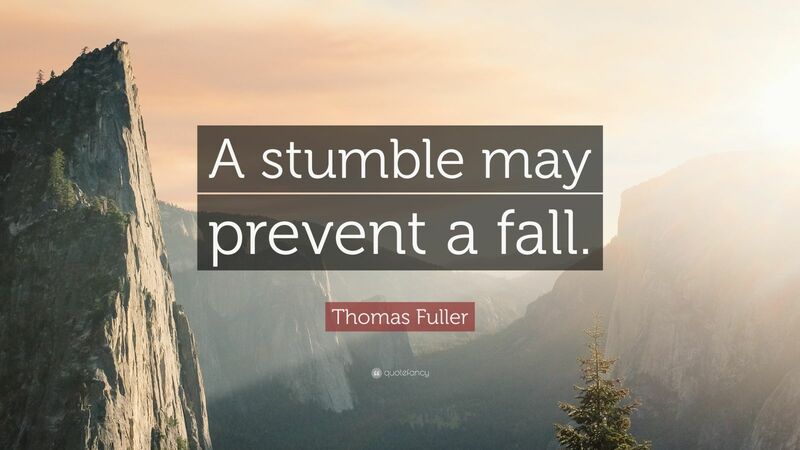 A stumble may prevent a fall. Proverb quotes. 1 up, 0 down. Failure quotes. Favorite. 0 inshare. Comment share your thoughts on what this quote means to you. Correcting a small mistake may help you to avoid making a bigger one.